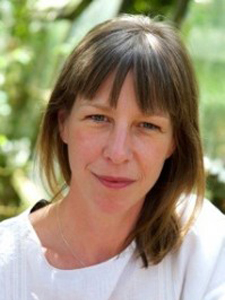 Alice Haddon is a Chartered Counselling Psychologist. She is an Associate Fellow of the British Psychological Society (BPS) and registered with the Health and Care Professionals Council (HCPC). She graduated with an Honours degree in psychology from Edinburgh University in 1997. She went on to get a diploma in Biodynamic Psychotherapy (2002) and later her MA and post MA Diploma in Counselling Psychology (2007). Her approach is supportive, collaborative and active and draws primarily on the principles of Cognitive Behavioural Therapy and Existential psychology. Alice started her career working at the Eating Disorder Service at the Priory Hospital, Roehampton. During this time she was seconded to work in Saudi Arabia giving her a fascinating insight into working cross culturally. She has also worked at King’s College Hospital, the Royal Free Hospital and for the mental health charity MIND. Much of her clinical work has focused on adult mental health but she has also worked in a school for autistic children and a psychiatric unit for adolescents. In addition to her clinical practice Alice has worked as a researcher in the field of Emotional Literacy with a special focus on helping schools and organisations to create emotionally intelligent environments. Most recently Alice has been practicing in the NHS providing assessment and CBT treatment for adults suffering from a wide range of difficulties. These include depression, anxiety, phobias and Obsessive Compulsive Disorder. She lives in London with her partner and two children.